Home Blog Why did an Amazon professional choose Kellogg? Persistence, passion, and purpose. These are generally said to be the 3 P’s of success. And yet, few people follow them, in spite of many knowing that they matter. Tania Bhattacharya is one such exceptional professional who has used these principles to convert decent opportunities to outstanding ones. At every step, Tania’s persistence, passion, and purpose have led her to make much more of each opportunity than anyone else in her position would have been able to do. This is her story, with lessons that everyone can learn. 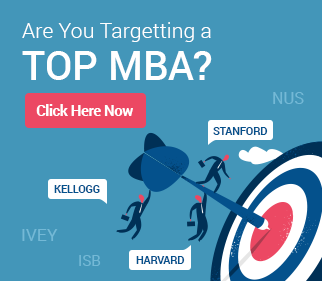 Do you need to be an IITian to dream of a top MBA? Every year, dozens of IITians make it to top B-schools around the world, including HBS, Wharton, MIT, Kellogg, and INSEAD. While one’s status as an IIT alumnus can help, it has given rise to a myth – that the doors of top schools are open only to IITians. Tania breaks the mould here as well. She is not an IITian, and graduated from a state engineering school in India. However, she made sure that she made the most of her opportunities there. Her outstanding grades (2nd in her university) made her stand out, and got her noticed by top recruiters, including the world’s leading software security firm. While many software engineers dream of development or product management jobs at the big boys of IT – Google, Microsoft, and Facebook – Tania defied the trend here too. She took up a role in software testing, and her passion, purpose, and perseverance led her to great heights here too. Many software testers feel that they are not cut out for an MBA by way of their profile, but Tania added value in every project she was part of. Whether it was automating testing processes or fixing critical failures, her contribution added extraordinary value for her employer, and helped her build skills that would soon get her a bigger opportunity too – at Amazon. At Amazon, Tania was again assigned a software testing profile, one that many would consider too technical to really help them aspire towards an MBA. And here Tania was again, adding unprecedented value to this role too. She was contributing to unique ideas in Amazon hack nights. She was coordinating an offshore team of testers, and sorting out challenges with her onshore team. At Amazon, the testing process works a bit differently. Not all teams have testing engineers, so the ones that do are likely to be working on large and visible projects. Seen an Amazon Giveaway? It is a unique Amazon feature introduced in 2015 that allows the setting up of promotions and contests on Amazon products. Tania worked on such products as a software testing engineer. Her work took her to the US, gave her leadership responsibilities, and strong approval ratings at Amazon. 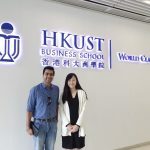 And, a vision for an MBA, that would make this Amazon professional choose Kellogg and other top schools as her target. In the next part of this 2-part article, we discuss Tania’s application strategy.